Yemeni army spokesman Brig. Gen. Sharaf Ghalib Luqman said that the Saudi-led coalition hire people from around the world to fight in Yemen, among contractors there are 400 persons from US private security firm Blackwater. CAIRO (Sputnik) — Around 400 persons from US private security firm Blackwater are fighting for the Saudi Arabia-led coalition in Yemen, Yemeni army spokesman Brig. Gen. Sharaf Ghalib Luqman said Tuesday. “They hire poor people from around the world to take part in the hostilities. Among them are Somalis and people from Sudanese tribes. However, there are also Europeans, Americans, Colombians. These are contractors from a structure known as Blackwater. This division includes around 400 people,” Luqman told RIA Novosti. Sharaf Luqman represents Yemeni loyalists of former President Ali Abdullah Saleh who are fighting alongside Houthis against the supporters of internationally-recognized President Abd Rabbuh Mansour Hadi. 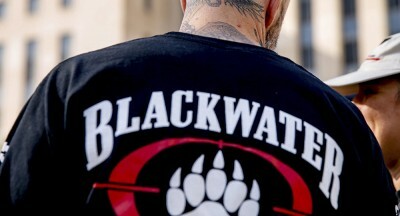 Blackwater Security Consulting gained notoriety in 2007 after its employees gunned down 17 Iraqi civilians and seriously wounded 20 in Baghdad during the US deployment. The incident became known as the Nisour Square massacre.